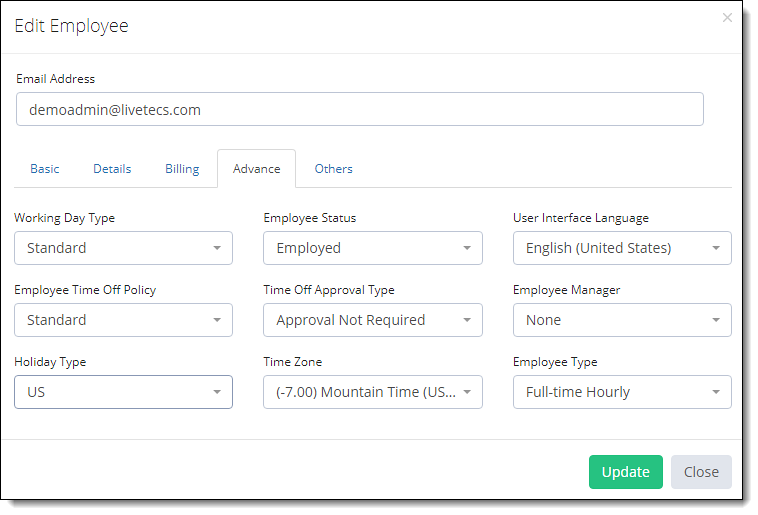 Enable check on the Holiday Type which you want to assign to your employees (only enable those types which you want to assign to your employees. They will reflect in Employees page for selection). Navigate to Employees Link on the Left-top of the application. Search for the employee to whom you want to assign the Holiday Type and click Options gear icon. Select the Type from the Holiday Type Field.